Two new Beethoven-related books, “Experiencing Beethoven” and “Beethoven’s Skull,” examine both the famous composer’s musical genius and the sheer weirdness behind some of music’s enduring legends. 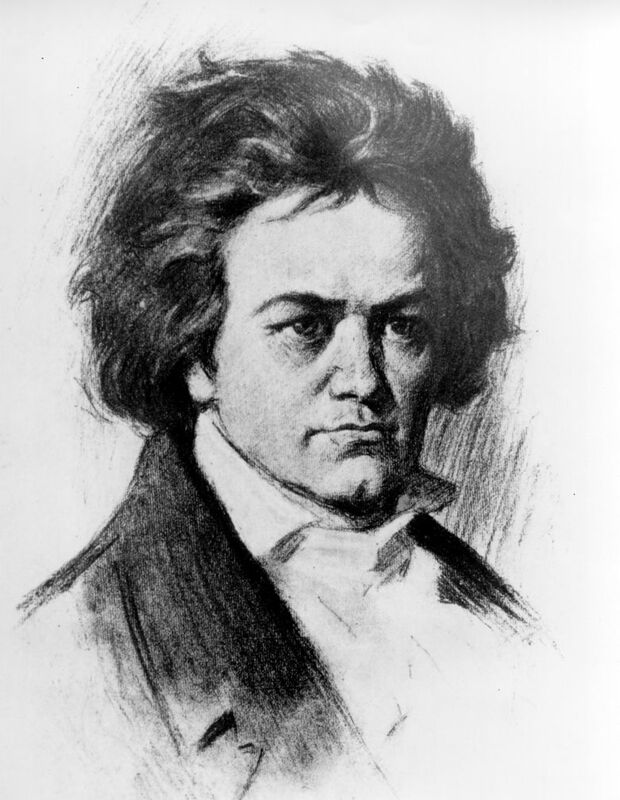 The lives of the great composers continue to fascinate music lovers — though none, it could be argued, exert quite the fascination of Beethoven, who continues to attract biographers and commentators, as he has by the thousands ever since his death at age 56 in 1827. Festivals are still organized around his works; his solo and accompanied sonatas are continually performed landmarks of the repertoire. The Ninth Symphony with its famous “Ode to Joy” is a fixture of important occasions, from the celebration of the fall of the Berlin Wall to the finale of the Olympic Games and the opening of concert halls around the world. “Who can explain it? Who can tell you why?” author Geoffrey Block muses, echoing the lines from “Some Enchanted Evening” as he considers the eternal lure of his subject in the introduction to “Experiencing Beethoven: A Listener’s Companion” (Rowman & Littlefield, 290 pp., $45). A professor of music history at the University of Puget Sound, Block explains the unique greatness of the music as he probes Beethoven’s masterworks, including the circumstances of the historic performances. He details the massive scope of what the composer left behind besides his musical scores: several dozen surviving music sketchbooks and 4,000 extant pages of sketches, nearly 2,000 letters, plus diary entries and conversation books (used because of the composer’s deafness). Focusing in, Block presents brilliant, in-depth analyses of several Beethoven works in different genres, including symphonies and piano sonatas, his only opera, his songs, the late piano music and the Op. 131 String Quartet in C-Sharp Minor (admired so deeply by Wagner and Schubert). A detailed analysis of the sketches for that enormous quartet, for example, show Beethoven changing his mind five times about the structure of the work. Block’s book is aimed at both the general reader and the Beethoven fan, and even those in that latter category may well add considerably to their store of knowledge about this titan of music. Another new book, “Beethoven’s Skull: Dark, Strange, and Fascinating Tales from the World of Classical Music and Beyond” by Tim Rayborn(Skyhorse Publishing, 304 pages, $21.99), uses as its springboard a grim anecdote about the posthumous indignities suffered by Beethoven’s skull. During the composer’s postmortem examination, Beethoven’s skull was clumsily cut into several fragments (some pieces of which have reportedly resurfaced from time to time) in an attempt to discover the cause of his deafness. As if that weren’t enough, poor Beethoven was exhumed twice. Beyond this anecdote, this chatty and colloquial book isn’t really about Beethoven, as its full title clarifies: It’s a compendium of bizarre and entertaining musical anecdotes, including legends, superstitions, myths and a lot of history — from ancient Greece and Rome through the present day. Witty and occasionally weird, “Beethoven’s Skull” will provide music lovers with many macabre points to ponder, argue and use to impress their friends. There’s even a (somewhat) local angle: Gonzaga University’s music building, Monaghan Hall, has been the site of much reported supernatural activity, particularly in the 1970s: organ keys played by an unseen hand, and phantom flute music wafting through the halls from no visible source. No one, however, was reported playing “White Christmas,” the biggest hit of Gonzaga alum Bing Crosby. Melinda Bargreen is the former classical-music critic for The Seattle Times and the author of two books, “Classical Seattle” and “50 Years of Seattle Opera.” She’s a freelance contributor to The Times and also writes for several music publications.